"Wow so much information, its fascinating. Looking forward to settling down to going through it." 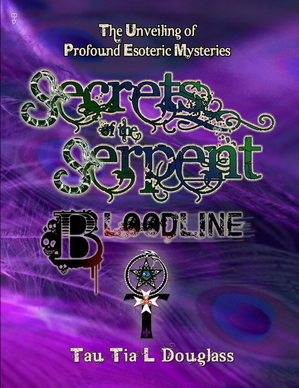 "This could take some time, it is a big book packed with so many amazing revelations.. I am loving it, so much I didn't know. Wow such an eye opener." "I can't put it down.. I am learning so much. I love your plain English no nonsense or pretension approach to writing." "You have so much knowledge, I am amazed at all things I continue to learn with every single turn of a page." "Thank you so much for this beautiful book. It is filled with so much intriguing information, it blows my mind." "I was so touched and emotional as I read the teachings of Mary Magdalene. I love the book, I will treasure it. Thank you for all your hard work." "Received mine this morning. I was excited to get it and it's full to the brim with information, I don't know where to start first!" "I'm up to alchemy process. Just had to stop and tell you, this is gold! Thank you again Tia. Getting a lot out of this section." "Can’t believe what a burst of energy and feeling your book induces…wonderful…I thank YOU…"
"Let the great work prevail, it’s a magnificent shining magnet touching the very root of my being it’s an eye opener for those with eyes, a first guide straight to our Guardian Angel. A message of hope, a call to GO for it and especially to DO something about it. To BE your Higher Self, no matter what they say… Thanks Tia, André." "I am very impressed with your book. Much I knew, and much more I didn't know." "I have Tau Tia's book and found it to be excellent. There is some fantastic information in it and I have always found her to be very down to earth and jovial. She explains all about her own spiritual path in the book and I found it fascinating and would recommend it to anyone who is a truth seeker. It answers a lot of questions for me and I have found out things about myself I never before knew. Meditations in the book are out of this world, and the Lady Veritas ceremony is very beautiful. I was very surprised when I found out exactly what Baphomet is and so many other things. Highly recommended, from someone who is not a member of her Church or Order, but I am definitely interested and thinking about applying." "Just want to thank you for so much for the book.. it has helped me to understand more fully who I am and where I come from. Reading your book was like finding my home, a place I can feel safe and without fear of being who I really am. It was like awakening thousands of suppressed memories that have been lying dormant in my unconscious mind. How our true past has been hidden from us is nothing short of malign, and you are so very brave for bringing it back to us. I will cherish this book forever." "This book is amazing. This past week I made it a point to get to know my higher self. Nothing massive or extraordinary but just small baby steps in knowing them. To my amazement it is a male energy to whom I will refer to as "him" simply for the gender factor. Anyway, the more I learn about this energy the more I realize that "he" is a hell of a lot smarter than I am. I can't wait to learn more from him." "I have not had genetic testing done yet but I do know I am O-. I had no idea about the Great Work until I joined these various groups (Facebook) and read this book and realized I had been doing the "work" for years in my own way! It's refreshing to put new understanding to things I've known without knowing how I know and that I'm not alone. Thank you Tau Tia for daring to share!" "I haven't been able to put this book down since it arrived, every page I turn I am learning something new and also beginning to know who I am and where I am from. I was so lost and confused before, but now I have some clarity, the fog is clearing and I can see where I am going and what needs to be done. What a great discovery I made when I found your videos on youtube, it led to so much more. I feel like I am home at last, with my own kin. I can't wait for your next book, thank you." "Believe me, Tau Tia L Douglass's book is right on the money in her teachings. So profound. Read it and learn." "Thanks Tia. Your work is awesome. I'm thankful you're sharing. There are some real gems in your book. Finally, Truth. Like fresh air for my Soul. Talk with you soon. Scott." "Thank you so much for daring to share this wonderful information with us."